The U.S. Federal Reserve has decided to taper its bond-buying program by $10 billion US a month, beginning in January. As Ben Bernanke prepares to step down as chair of the powerful U.S. central bank, the Fed voted Wednesday to reduce its monthly bond-buying program from $85 billion to $75 billion a month. "Beginning in January, the committee will add to its holdings of agency mortgage-backed securities at a pace of $35 billion per month rather than $40 billion per month, and will add to its holdings of longer-term treasury securities at a pace of $40 billion per month rather than $45 billion per month," it said in a statement. The move came as a surprise to investors, who did not expect the Fed to taper its stimulus in Bernanke's final month in office. Markets surged on the news with the Dow up 200 points in the half hour after the announcement. It was at an all-time high at the end of the day, up 292 points at 16,167. The bond purchases are intended to keep long-term loan rates low to spur economic growth, and Bernanke in his news conference noted that the Fed continues a high rate of stimulus and continues to build a large portfolio of U.S. bonds, now amounting to about $4 trillion. He said there would be "further measured steps at future meetings" to reduce the amount of bonds the Fed buys each month, likely throughout 2014. The Fed has been closely watching economic indicators, including the unemployment rate, which is at a five-year low of seven per cent. "Recent economic indicators have increased our confidence that the job gains of the past quarter will continue," Bernanke said. Yet the Fed's economic policy remains "highly accommodative," he said, expressing concern that there may be a reversal in economic fortunes which could stall the reduction in bond-buying. At the same time, the Fed lowered its expectations for unemployment over the next few years, saying it could range between 6.3 per cent and 6.6 per cent by the end of 2014. In a move meant to forestall any sharp market reaction, it said it planned to keep rates near zero "well past the time" that the jobless rate falls below 6.5 per cent. Inflation remains historically low and the Fed notes it is below its optimal rate of two per cent. For the 12 months ending in October, consumer inflation as measured by the Fed's preferred index is just 0.7 per cent, well below its target. BMO economist Michael Gregory noted the Fed’s focus on the lack of inflation in the U.S. economy. “First, the Fed served notice that it is 'monitoring inflation developments carefully,' a notice that could stay further tapering moves if inflation falls further,” he said. He said the central bank also appeared to be trying to circumvent wild market reaction should unemployment since below 6.5 per cent, considered a target rate. Although tapering has begun, it is very data dependent, Gregory said. Bernanke was giving his final quarterly news conference. His second four-year term as chairman ends Jan. 31, when vice-chair Janet Yellen will succeed him. The Senate is expected to approve Yellen's nomination this week. Yellen was among the committee members voting for the change today. Bernanke said the change in leadership had no effect on the decision made today. Bernanke's quantitative easing program began 15 months ago in an effort to kickstart an American economy still struggling to shake off the 2008 financial crisis. 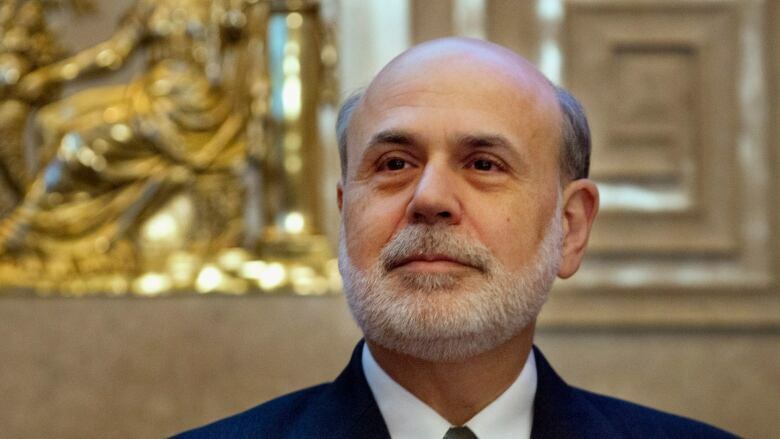 Some have credited the Fed's program with the economy's improvement and Bernanke took credit in his speech. Hiring has been robust for four straight months. Unemployment is at a five-year low of seven per cent. Factory output is up. Consumers are spending more at retailers. Auto sales haven't been better since the recession ended 4½ years ago. Now, stocks are at all-time highs, a fact that some analysts believe is an indication of a bubble caused by low rates. And the House has passed a budget plan that seems likely to avert another government shutdown next year, a move bound to renew confidence in the U.S. economy. The Senate is expected to follow suit. TD senior economist Martin Schwerdtfeger said the Fed was working with a much improved set of economic numbers, though it downgraded its growth estimate for the third quarter to 2.2-2.3 per cent. “Macroeconomic data has incrementally improved in recent weeks and the recent fiscal budget deal removed a significant dose of uncertainty from the horizon," Schwerdtfeger said in a note to investors. He noted that bond yields fell on the news, partly because the impact of the Fed program on bonds is not fully understood by economists. “The six-basis-point decline in 10-year treasury yields following the release of the statement appears as a vote of confidence by the markets in the refined forward guidance,” Schwerdtfeger said. Jim Rickards, author of Currency Wars, said it could be 2017 before the Fed actually raises interest rates. “If the economy was stronger in line with the Fed’s expectations, they would have just tapered a bit and left it at that. That’s not what they did. They tapered, but they also gave a very lavish guidance forecast. They said that 6.5 per cent employment threshold ... forget that, we could go way past that,” he said in an interview with CBC’s Lang & O’Leary Exchange. The Fed has been seeking a measure of inflation for five years now without success, Rickards said. “What they’re saying to the market is — we’re going to get inflation. The stock market likes that because inflation means easy money as far as the eye can see,” he added.